Located in the small town of Narora (Uttar Pradesh), the Narora Atomic Power Station (NAPS) services the northern power grid of India. The plant consists of two PHWRs, the first of which (Unit-1) began commercial operations on 1 January 1991. Unit-2 followed on 1 July 1992. On 31 May 1993, a major fire occurred when the two steam turbine blades servicing Unit-1 malfunctioned. This, in addition to problems with the PHWR's cabling system, nearly led to a nuclear meltdown. Although NAPS was fully rehabilitated after the fire, a second incident hit Unit-2 in September 1999 when an air-locking inner door malfunctioned. The plant was immediately shut down and Unit-2 remained off duty for approximately one month. Although a minor tritium leak also occurred around this time period, by December 1999, the facility had been inspected by the Bureau of Indian Standards and its environmental management system had been certified. This certification was followed by the voluntary opening of NAPS to a World Association of Nuclear Operation (WANO) peer review board in early 2000. Later that year, NAPS became the first ISO-14001 certified atomic power station in Asia and also received the Golden Peacock Award from the World Environment Foundation for its efforts in environment preservation. As of 28 February 2003, NAPS reactors had achieved a cumulative generation of 28,366 million units (MUs) since they began commercial operations. Unit-1 registered 14,231 MUs of this total while Unit-2 accounted for 14,135 MUs. NAPS is not under International Atomic Energy Agency (IAEA) Safeguards. "Annual Report 1994-1995," DAE (Government of India). "Annual Report 1999-2000," Executive Summary, DAE (Government of India) www.vigyan.org.in. George Iype, "A Chernobyl can happen in India anytime," Rediff on the Net, 14 April 2001. "India admits six nuclear leaks," The Australian Online Edition, 29 November 2002, www.theaustralian.news.com.au. 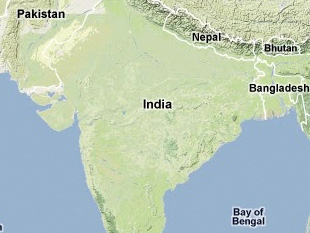 "India to allow world review of Narora N-plant," Bangladesh Institute of International and Strategic Studies, December 1999, www.biiss.org. "Narora Atomic Power Station," Department of Atomic Energy (Government of India), www.dae.gov.in. "Narora Atomic Power Station (NAPS)," Nuclear Power Corporation of India Limited (NPCIL), www.npcil.org. "Year End Review-2000," Press Information Bureau (Government of India), http://pib.nic.in.